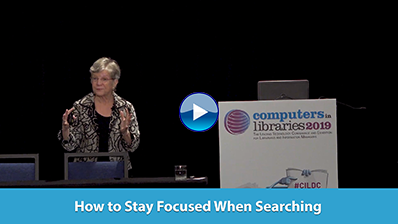 Internet Librarian can help you transform your thinking, your programs, and your spaces. Join us for the most comprehensive conference for library and information professionals interested in technologies that allows us to push the envelope to the enhance the information sharing and learning experiences of people in our communities. Push the envelope. Register today! The Internet Archive opened a section titled TV News Search & Browse devoted to television news broadcasts. The initial launch includes 3 years dating from 2009 with a broad range of sources, more than the Vanderbilt Television News Archive, though Vanderbilt's files extend back to Aug. 5, 1968. The new collection began with about 356,000 news programs from all the national U.S. networks and local stations in San Francisco and Washington, D.C. It updates with a 24-hour delay. The Library Corporation introduced Lists & Actions, a powerful new circulation feature to complement the web-based LS2 Staff interface for TLC's Library•Solution automation system. The LS2 Staff interface is a touchscreen-optimized, tablet-friendly design that allows a librarian to leave his or her desk and perform circulation tasks anywhere in the library. Pearson announced that readers everywhere will now have the opportunity to get early access to important, time-sensitive topics and technologies before the official publication. Available exclusively through Pearson, Early Edition multiformat ebooks (PDF, ePUB, and MOBI) have been through preliminary stages of editing and technical review, but content and presentation are not yet final. By purchasing an Early Edition, customers automatically will receive an updated, official edition of the multiformat ebook when it is available. Capita, an ILS vendor based in the U.K., partnered with EBSCO Publishing to offer integrated access to extensive electronic resources within Capita's existing library resource discovery solution, Prism and EBSCO Discovery Service. Users will be able to search their library's comprehensive collection of electronic databases and physical library stock using a single search box.